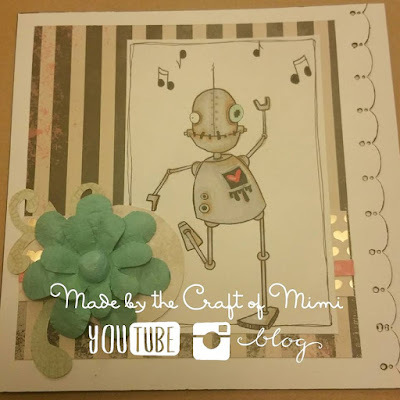 The Craft of Mimi: 'Dancing Dave' Birthday Card. Hello! Hope everyone is OK. The weather outside the window for the past few days reminded me more of autumn season than summer with loads and loads of rain and wind! So been trying to snuggle at home with a warm cup of beverage and sitting cozy in the bed. Unfortunately my kitty cat has been poorly and for the past 3 days had been receiving an ongoing treatment from the Vet. 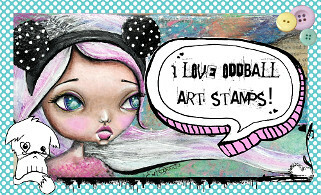 Here at Oddball Stamps we are having a monthly challenge reminder for the 'Die Cuts' challenge. There is still time to take part as the challenge will not close until middle of August. I made this lovable and cute robot card for a family members Birthday and tried making it more masculine. Not sure I succeeded to full extend but I love it. 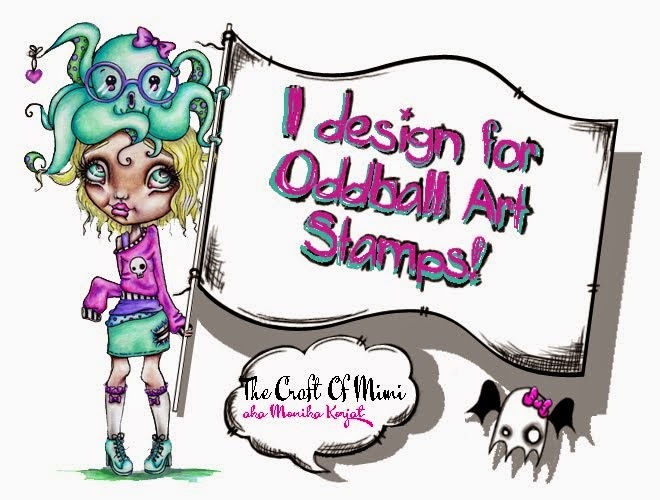 If you fancy having a go at creating similar project using this whimsical digital stamp from sweet Lizzy Love you can find him here. I used Mojo Mondays challenge for the layout of the card but had only trimmed the front page. wanted the card to be quite simple so only used papers from one collection. Even the vines are die cutted from the same paper pack. At the end I just added a blue flower and finished off the card. The Craft Barn Weekly challenge - clean and simple. Take care everyone and let's hope we will have a sunny day here in UK today ! So cute! Thanks for playing along with Mojo Monday! Oh this is lovely! Thank you for joining in The Craft Barn Challenge.